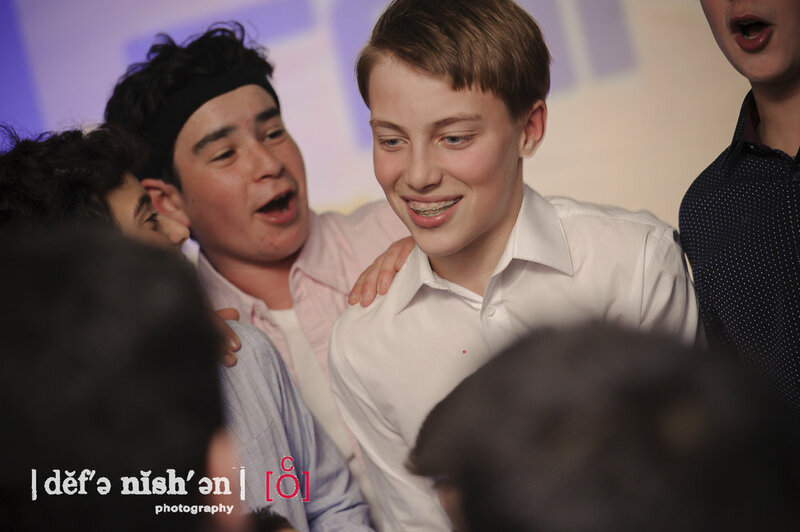 Toronto Bar Mitzvah Photography - Tanner's Big Night Out! - The Uptown Loft, Midtown T.O. 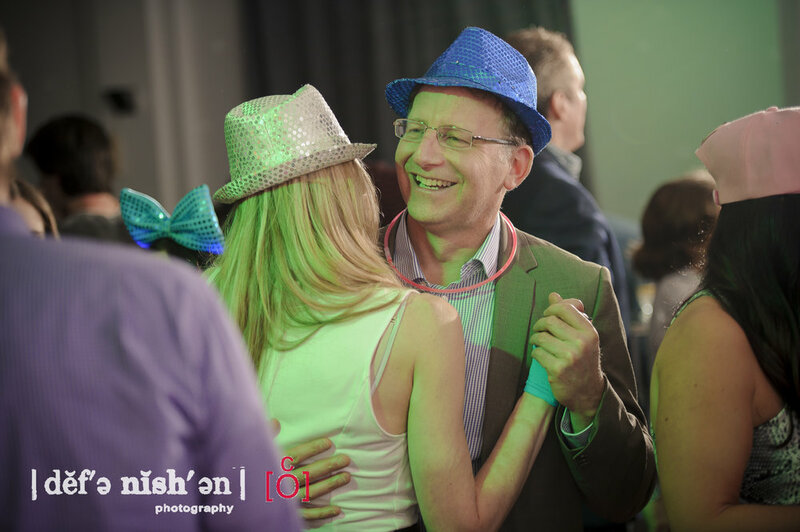 It was another crazy Saturday night in mid-town Toronto as Tanner's family and friends celebrated his bar mitzvah in major style at the Uptown Loft. 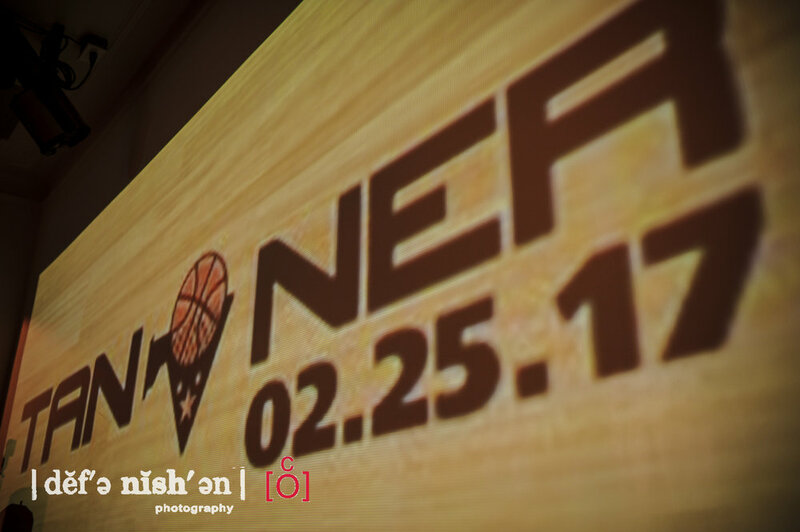 It was the first time that we have photographed two consecutive parties with a very similar group of family and friends so it was nice to recognize lots of the same faces and stand-out event production like the Magen Boys. We arrived early in the evening while the venue was being set up to take more of the 'formal' pictures of Tanner and his family before all his guests arrived and anxiously awaited Tanner's big entrance atop his friends' shoulders which was quickly followed by everybody hitting the dance floor for the traditional hora circle dance. The entire night was blur of amazing music, movement, excitement, and emotion. On top of the insane dance pit where prizes were plentifully awarded to the best dancers as the night progressed, there were also quiet reflective moments like Tanner's friends' organized speeches, a thoughtful slideshow of Tanner's life through the years put together by his dad and a few slow songs where some of the parents and grandparents had a brief moment to get close during a night that was definitely reserved for the kids. We always leave events like this one with a big smile on our faces watching so many people of so many different ages having a blast and stepping out of their regular routine for one amazing night to celebrate. Mazel tov, Tanner, and thanks again for having us photograph your special day and hanging out with all your famiy and friends!